This year I have made an End of year Review booklet for my young learner groups. The idea is for the students to look back at what they have done and to think about what they did well, what they could have done better and to identify a few goals for moving forwards. I have printed it as an A5 booklet and the hope is that they can take this home with them to share with their parents as a reflection on the progress they have made and the progress they could have made – along with some concrete goals for things to do in the summer months away from the pressures of the classroom! The Grammar Graph is not really intended to measure knowledge or attainment in the language feature, what it really does is measure the confidence the learner has in their ability to use the target item. The features listed are all those that have come up in the past year and I hope that it will reflect the extent the learners feel they can use the feature appropriately and accurately. There may be students that have better control, but less confidence or there may be students that are very confident and fluent speakers but who have less control. These conversations will hopefully help learners to see where some of their strengths really lie. 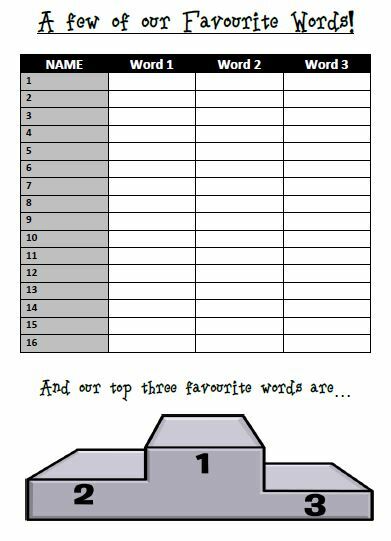 The Word Championships are partly a vocabulary review and partly there as a mingle activity to get students up, moving around and talking to each other. The learners choose two or three words from the year that are their favourites – or possibly from their own knowledge. They then mingle and find out what the other students think and record the answers. After about five minutes (they don’t need to ask everyone for everything), the students work in small groups to share and compare the answers they got and to work out which words are the top three favourite words for the year. 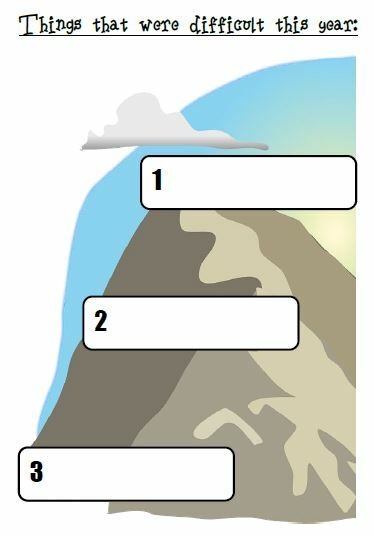 The difficult and easy mountain is a simple enough reflection on course content – with any luck it should tie in to the grammar graph activity at the beginning – but with a bit more focus on where the focus needs to come in the future. I opened this up as a kind of pyramid discussion to the class to try and decide what the most difficult thing and what the easiest thing we did in class this year was. This not only gives some interesting feedback on the content the learners find difficult, but on which of my teaching techniques have proved more accessible. The lesson Pie Chart is intended as a reflection on behaviour in the classroom. It is really up to the learners to decide what constitutes “being good” and extending this discussion out to the classroom can lead to some interesting revelations. The intent is also not to demonise L1 (in this case Portuguese) use, but more to point out how much class time they spend using Portuguese as opposed to English. If I was to do this differently next time (and I will!) 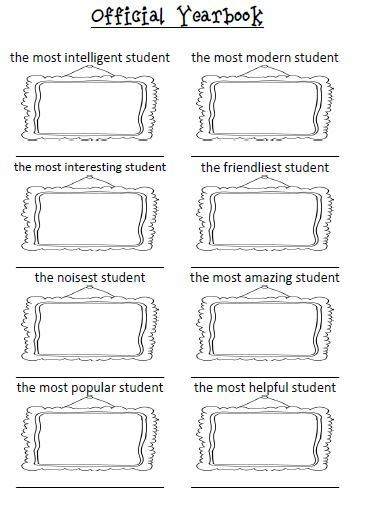 I would separate these out into three or four smaller pie charts as while this gives an interesting insight into what happens in a lesson, it isn’t quite so useful for differentiating behaviours, which was partly the aim. Most of my learners are in the 10-13 year old elementary range, and therefore encouraging them to do self-study work over the summer is an uphill task. The purpose of this activity is to get the learners to arrive at ways in which they can keep their English up over the summer and not forget it all, and still have a degree of fun! I am less interested here in getting them to do grammar practice or vocabulary learning, than I am in getting them to interact with the language in some way. 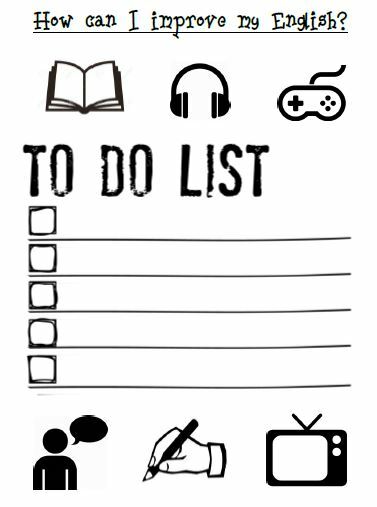 One of the goals might be to read a book in English (we have graded readers in the school for them to borrow) or to learn a favourite song in English – to watch a TV show or film in English and write a synopsis or review. It will be up to them to decide. The Superlatives Yearbook is a bit of fun really – it serves partly to review some of the language from the course – but it is really a bit of a break from the personal development review and a chance to engage in a heated discussion. You may have come across similar “end of year award” lessons – this is a slightly shorter version. 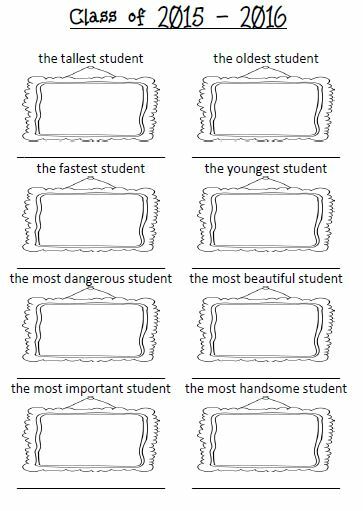 In this version, the students are put into three large groups and have to decide who should be given each award. No-one in the class can be given more than one award and everybody in the class has to be given an award. An extension of this is to re-group the students into groups of three, one student from each of the larger groups, and to ask them to present their choices and agree on a final decision. The learners can then report back to their original groups on what was decided. These are what I came up with, but I would welcome any extension of this so please feel free to add any ideas in the comments! 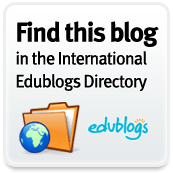 I hope this proves useful, if you try any of this and want to give any feedback, I’d welcome it – or if you’ve tried similar ideas in different areas, I’d also like to find out what you did and how it went. Thank you for these wonderful ideas. I also do a sort of assessment like this at the end of a year, although some of my students take lessons all year round. 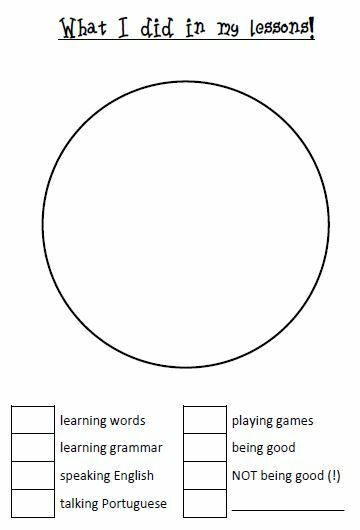 I’ve made a form for this that I can adapt to their level, on which they can indicate what they want to learn and why and how, and what they’ve learnt so far. I also ask them for their favourite words and activities, but not at the end of year necessarily. I think it’s very important to ask them what they expect and want to learn, because then you can enlist their cooperation. It can also function for them as an eye opener to realise what they actually would love to be able to do, and why we’re doing the activities that we do. Hi Jacqueline, thank you for commenting! I’m glad you like the ideas! Yes, you can also do something like this for needs analysis – I haven’t tried that with YL classes. I have no way of knowing whether I will be teaching these classes again next year, so for me the purpose of this isn’t so much future planning as developing a sense of personal responsibility for the learning process. I hope that some students will be able to take the process forwards and take more control of their own learning. 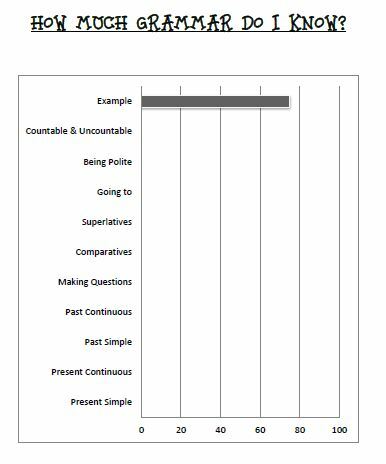 I also plan to show all the parents a blank copy of the booklet when I give out the reports, so that they can look at the version their child took home and help them achieve some of their “to do list” items, or help them review any areas the child found difficult. Hi David, I tried your ideas with my 11 and 12-year-olds and it went great! I could really see their wheels turning as nobody had ever asked them to reflect on their own learning in any way. The easy/difficult list and the pie chart were my students’ favourite whereas I found the to-do list most interesting. All in all,it was a fantastic class and I wrote about it in my latest post about my favourite end of term activities. Thank you so much for sharing these ideas!